REVIEW: Mamadou & Vanessa Sidibe, based in Berkeley California, are among the leading American exponents of neo-traditional Malian music. 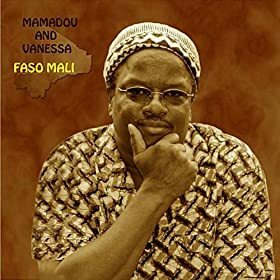 Mamadou hails from the Wassoulou region of Mali and helped pioneer the kamale ngoni or youth’s harp, bringing sacred Wassoulou hunters’ music melodies to the world stage. He takes most of the lead vocals and doubles on guitar as well. Vanessa is a native American who has segued into Malian music from Afro-Cuban -- she does a superb job on the Bambara female vocal parts, and her karignan (traditional Wassoulou metallic scraper) and shaker playing drives the group’s rhythms. They’re joined on this, their fourth album, by Boston-based balafon virtuoso Balla Kouyate, known here in Richmond for his work with Hotel X and Alhaji Papa Susso. The songs, all written and arranged by Mamadou & Vanessa, cover a broad spectrum of Malian sounds, including Ali Farka Toure’s desert blues (track 2), acoustic Mande music (6), funky Wassoulou rhythms (14), and all of the above in a single track (11). 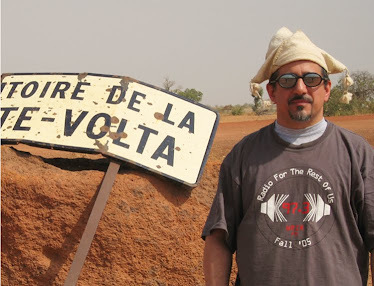 Malian musical traditions are thriving all over the world -- here’s a great example, 7000 miles from the homeland.